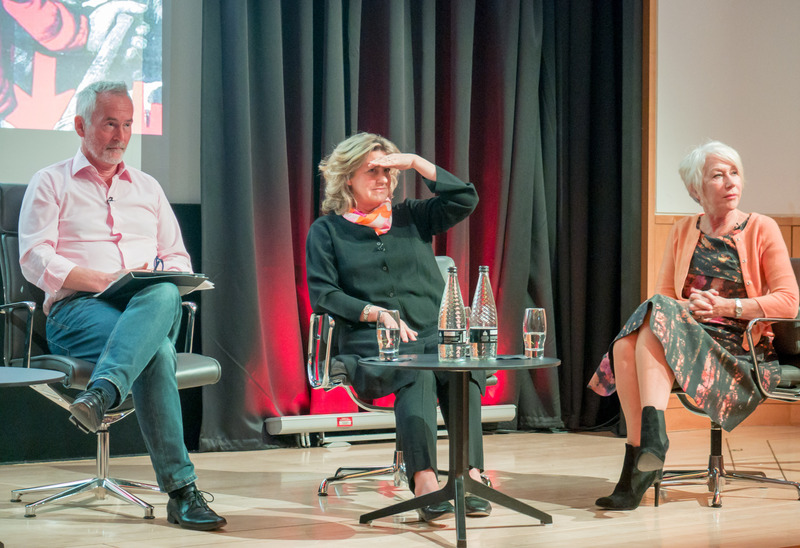 On Monday 5th June a panel discussion “Émigrés from Revolution” took place at the British Library. It was a joint event between UCL SSEES Library and the British Library and was inspired by our collections. The year 2017 marks the centenary of the Russian Revolution. 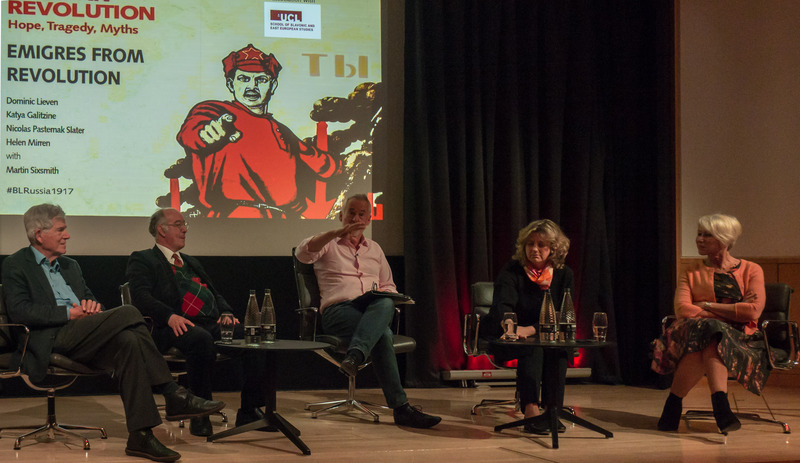 One of the main events “in the library world”, to focus on the centenary is a major exhibition at the British Library: “Russian Revolution: Hope, Tragedy, Myths”. The exhibition is accompanied by various events, panels and seminars. That provided a great opportunity for UCL Library Services to co-organise, with the British Library, a public event, which would highlight our collections. To make it more lively and interesting we wanted it to be presented by the descendants of emigrants from the Russian Revolution, so that they could reflect, after one hundred years, on how the history of their grandparents has influenced and still influences them and their families. It provided us with the opportunity to showcase some of our archival holdings, especially as many of the descendants had very successful careers. We are lucky enough to have in our archives documents that were donated by world famous actress, Dame Helen Mirren. Her grandfather, Colonel Pyotr Vasilievich Mironov, initially came to the UK with the aim of buying arms for the Russian Army during World War One. Another example is the memoir of Prince Paul Ivan Lieven, that belonged to the grandfather of well-known historian, Professor Dominic Lieven. We were very lucky once again as both Dame Helen Mirren and Professor Dominic Lieven accepted invitations to the event. We also invited Princess Katya Galitzine, whose grandparents escaped via Yalta on a British warship sent to rescue Dowager Empress Maria Feodorovna. However, there is also another “library link” as Princess Katya is a co-Founder of The Prince George Galitzine Memorial Library. Our fourth guest was successful translator Nicolas Pasternak Slater, the son of Boris Pasternak’s sister Lydia, and the grandson of painter Leonid Pasternak and Rosa Isidorovna Kaufman, an accomplished pianist. 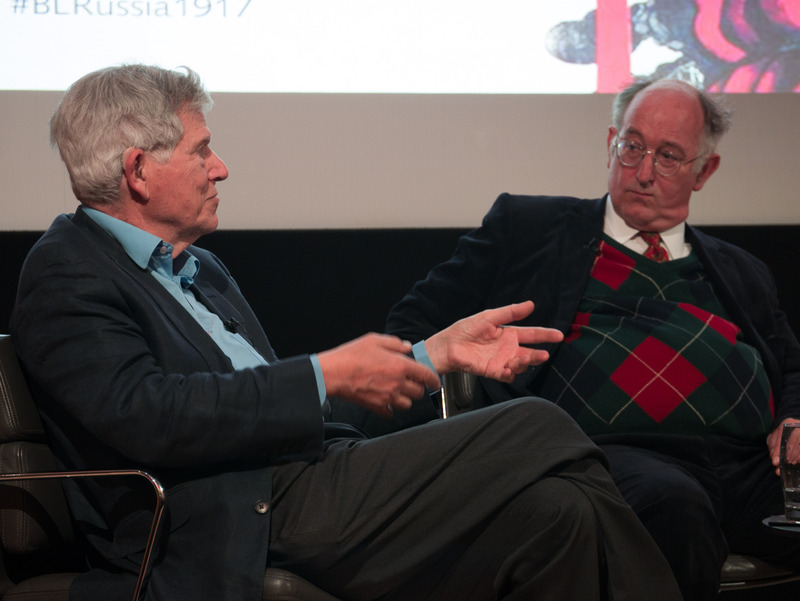 Martin Sixsmith, former BBC foreign correspondent based in Moscow at the end of the Soviet Union, moderated the discussion, while Professor Simon Dixon from UCL SSEES provided an introduction to the event and highlighted UCL SSEES Library’s archive collections. The event was a success. The panel was excellent and the attendance was very good. It was a very good way to promote our collections. 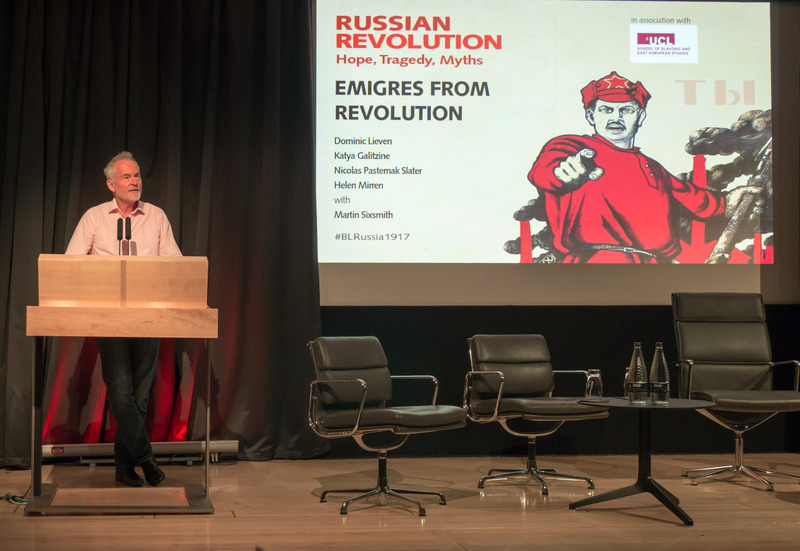 It also enabled us to foster good working relationships with colleagues from the British Library, especially Jon Fawcett, Head of Events, and Katya Rogatchevskaya, Lead Curator of East European Collections. The cooperation was very successful so it may also lead to another joint event in the future. Of course for us it is not the end. UCL SSEES will hold a major conference later this year to commemorate the centenary of the Revolution and we need to focus on that and build on the success of the event. 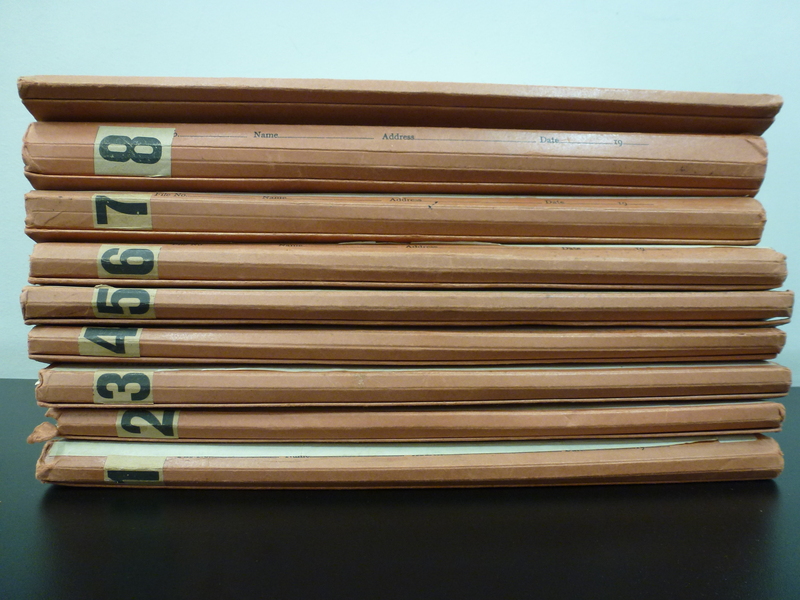 We would like to digitise selected items from our collection, so that they can accompany the main UCL SSEES Conference. During the panel I had a chance to talk to Helen Mirren and her sister Kate and managed to obtain permission to digitise the documents of Colonel Pyotr Mironov. Professor Lieven has also given permission for the memoir of Prince Paul Ivan Lieven to be digitised. Together with colleagues from Digital Curation, Mat Mahon and Amy Howe, we are working on digitising some other collections from our archives. Our aim is that by the time of the conference we can create a high-quality, professional and academic resource. During 2017 there will be many events dedicated to the Revolution. However it is noteworthy to say that UCL SSEES is one of the best well-known and recognised institutions in the world for its expert knowledge on Russia. Therefore, December’s conference organised by UCL SSEES will attract a lot of attention. This provides UCL SSEES Library with the momentum we need to maximize to our benefit, so that we can effectively publicize our work and our unique collections to the world audience. This entry was posted in Collections, news, Open Access, Presentations and papers, Projects and tagged 1917, British Library, Dixon, Emigres, Event, Galitzine, Lieven, Mirren, Pasternak, Revolution, Russia, Sixsmith, SSEES, UCL SSEES Library. Bookmark the permalink.